The Swedish film director Ingmar Bergman passed away this week. 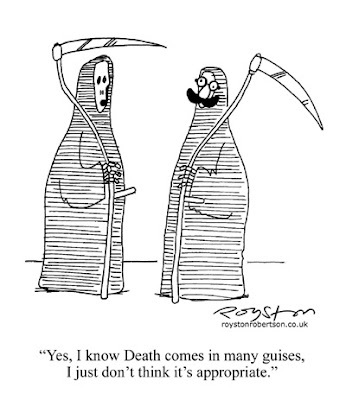 He's recognised as a genius of cinema but I thought we should also recognise him as the father of that staple of cartoonists: the Grim Reaper gag. 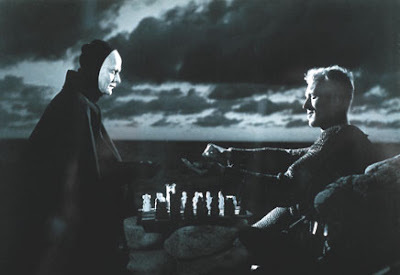 Yes, I know he didn't invent the image of the Grim Reaper, it's been around for centuries, but by showing Ol' Hoodie playing chess in The Seventh Seal, above, he put him in the mundane world of us mortals. 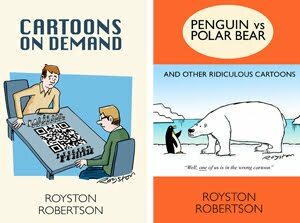 And countless cartoonists picked up this idea and ran with it. Well, that's my theory, and I like it. 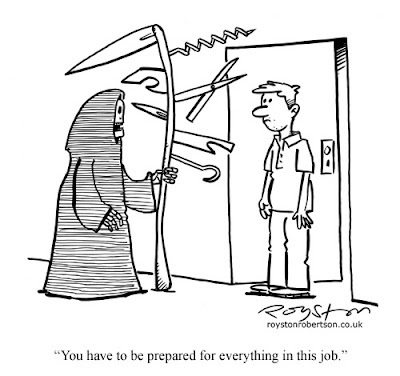 I've done plenty of Grim Reaper cartoons myself. Here are two, from The Oldie and The Spectator respectively. The original of the latter sold to a newspaper obituaries editor who collects Grim Reaper cartoons.